Hey BJP, INC, JDS, field more women candidates this time! 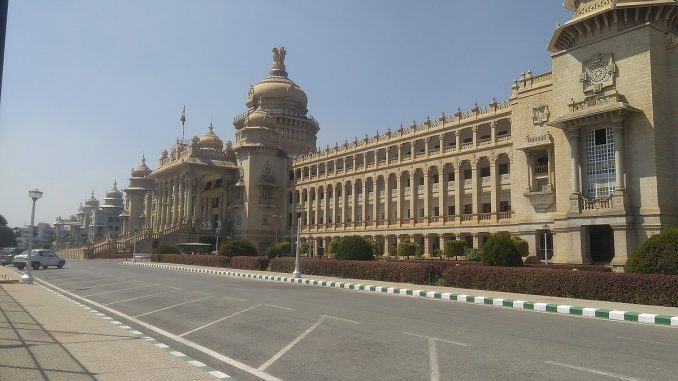 It was the year 1957 that Bangalore elected three women to the erstwhile Mysore Legislative Assembly. It remains the most number of women that the city has elected. Ours is a city that prides itself to be bustling cosmopolitan, representing modern times and yet how do we explain why there are not too many women who represented this city’s people politically? It is truly awesome and terrifying being a woman in these times. The last few months have been rather difficult for the collective patriarchy that has defined our world order so far. This month, the United Kingdom celebrates hundred years of its female citizens being given their right to vote. The women’s march that began in the United States of America has now caught the imagination around the world. Hashtags on social media have defined and steered public conversations about their basic right to dignity. More of us are steadfastly refusing to stand on the sidelines being silent witnesses as history is made. Yet, even as collective conversations are making space for women’s voices, women continue to be denied a place at the high table of politics – where policies are decided. In less than three months, Karnataka goes to polls. A total of 225 Assembly seats will be fought for. The two national parties, Indian National Congress (INC) and the Bharatiya Janata Party (BJP), have held meetings with women from various walks of life as a lead up to preparing their party manifestos. But how does it really translate on the floor of the Assembly? Let’s look at the numbers beginning with the current lot. Of the 225 seats in the 14th Karnataka Legislative Assembly, there are just six elected women and one nominated. That is a less than 3% of the total strength. Let us put that in the context of the total number of women who voted in those elections – I,50,57,361 with a voter turn out of 70%. You do the math! Let’s take Bengaluru. Vinisha Elizabeth Nero is the lone MLA based in the city, but is nominated, not elected. Umashree, who is a first time MLA from Terdal, is the only woman in the Siddaramaiah Cabinet. Let us see how many women contested in these elections. There were a total of 175 female candidates of the 2945 candidates. The Congress gave tickets to 8; the BJP had 7 contestants and JD(S) scored high among the parties with 12 candidates in the fray. Sixty seven of women were independents. Why is there such a dismal record with the political parties, as far as giving tickets to women is concerned? Sushmita Dev, the National President of Mahila Congress who was recently in town to meet women achievers, said it all came down to winnability. “It doesn’t matter if you are woman or a man. The criteria to get an election ticket is your ability to win. However if we want to ensure adequate representation of women, we need to push for the Women’s Reservation Bill,” she said. The Women’s Reservation Bill which promised 33% for women lapsed in 2014 with the dissolution of the 15th Lok Sabha. On the contrary the Karnataka Panchayat Raj (Amendment) Bill, 2010 reserves 50% of the seats at the local governance levels for women. In Bengaluru, the Municipal Council has 50% reservation, because of which the number of women corporators has been more than half this time. However a common complaint about these reservations is that woman is often the front for her husband or a man in the family who makes the decisions.Women Councillors in the BBMP are often accused of being guilty of this. In assembly, we don’t even see the token presence of women – it’s all mostly men. Women MLAs – where are they? But what was it like before the word reservation was discussed in the context of electoral politics? The Election Commission of India’s reports on the Assembly Elections in Karnataka throws up a surprising picture. While the first Assembly elected to the Mysore Legislative Assembly (as it was then called) was in 1952, the EC’s reports begin from 1957. Grace Tucker, Nagarathnamma and Lakshmi Ramanna were the three women who won in Bangalore from Ulsoor, Gandhinagar and Chamarajpet respectively in 1957. 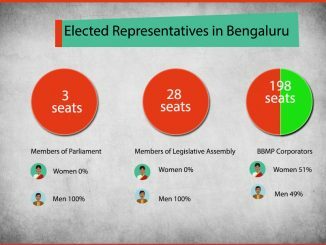 This, as mentioned before, remains the highest number of women elected from Bengaluru. Grace beat her closest rival K Kannan with a margin of 3930 votes. Nagarathnamma beat her closest rival J Lingaiaha with a margin of 8048 votes pulling in 40% of the voters. Lakshmi Devi Ramanna beat her closest rival Rangaiaha Naidu by 2137 votes. One more woman MLA, K S Nagarathnamma, who was the first woman to become Speaker of the House, was a seven-time MLA from Gundlupet starting from 1957. In the current Assembly, only R V Deshpande from INC and B S Yeddyurappa hold this distinction. Clearly, we need a more diverse elected body for better governance as under-representation of women at any level will lead to a democratic deficit. The current Karnataka polls will be an effective indicator of the commitment by political parties for making space for women at the electoral levels. It will also test us as an electorate, and our commitment to electing women, should the parties provide us with a choice. The buck certainly doesn’t stop with just one of us.